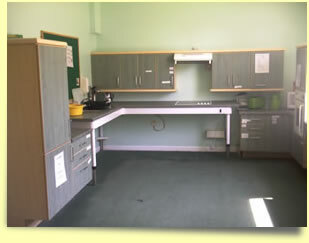 The domiciliary team do an excellent job in keeping everywhere spotless and safe, with just the right amount of clutter to make it feel homely. 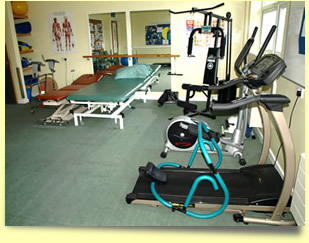 The gym, workshop, and supervised kitchen provide opportunities to extend and regain life skills in a safe and controlled environment. The Centre combines comfortable purpose designed, modern accommodation which includes spacious en suite facilities. 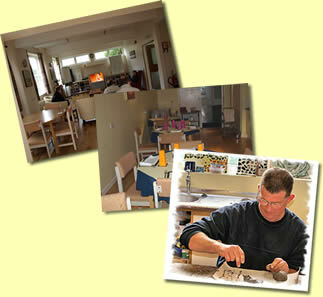 Clients are offered a homely and therapeutic environment in which to flourish. 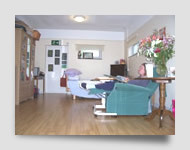 There are 22 rooms including flats ranging in size depending on the needs of the individual. The lovely dining room is a great place to socialise whilst enjoying Chef Johans excellent meals. 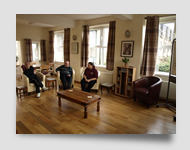 In between therapy sessions, there is a fabulous central area where there are facilities to have a coffee, read the paper, watch TV , take part in quizzes, play board games or just sit and chat. The patio doors lead out onto a covered patio area where barbecues feature when weather permits. © Waters Park Ltd. 2017 - all rights reserved.